Pebble is rolling out its 4.3 firmware update, which brings new features and improvements to the Pebble 2 and Time smartwatches. Chief among these is the set of new heart rate tools that are only coming to the 2-Series right now. First, Pebble says the update will improve the heart rate technology on the watch. We found the Pebble 2's optical heart rate tracker to be a bit off when running, so hopefully this means we'll see some improvements. But 4.3 also introduces heart rate zones, so you can see how much of your workout is spent in fat burn, endurance and performance. Also good news is that third-party apps can now connect to the Pebble 2's heart rate monitor, so you'll be able to pair the likes of Runkeeper. Fitness apps that send live data to the Pebble 2 will also now be able to visualise HR information from the watch. Other new features, which work across both the 2-Series and the Pebble Time models, include voice reminders that save to your Timeline and sync with the iOS Reminders app. You can also mark reminders as completed on the watch and it will sync this info with your phone - and vice versa. 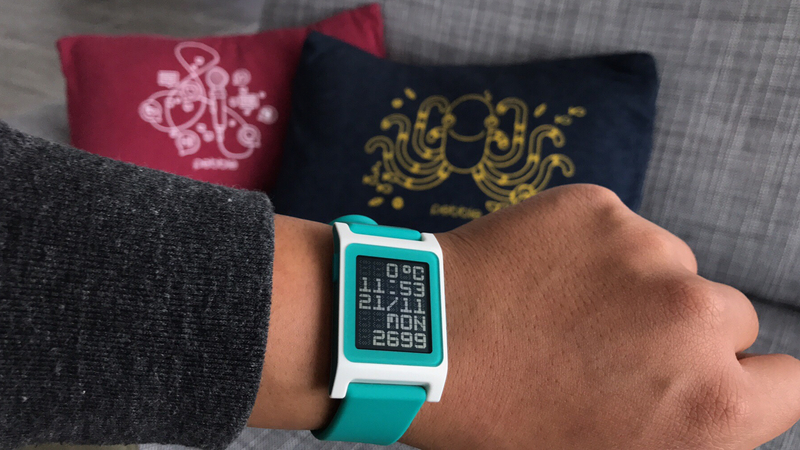 Finally, there's a new watchface called Kickstart which lets you see the time, your step count, overall day step progress, and heart rate (on the Pebble 2) on one glanceable display. We assume that the heart rate features will be compatible with the Pebble Time 2 when it arrives, but we're asking Pebble and will let you know when we hear more.